Welcome to the Website of Dr. John J. Eisinger. Our orthodontic practice has been creating beautiful faces and stunning smiles in the Monterey County for over 30 years. For your convenience, we have offices in Monterey, Carmel, and Marina. We want you to feel comfortable in our office! For those patients who speak Spanish, we have Spanish speaking staff to facilitate communication. My professional mission is to create a positive influence in facial esthetics, personality, and health of our patients so that they will achieve their highest potential in life with the confidence of a smile that is a symbol of health and beauty. We are committed to achieving the most beautiful smiles with a life-changing experience through expertise, warmth, and genuine human kindness. 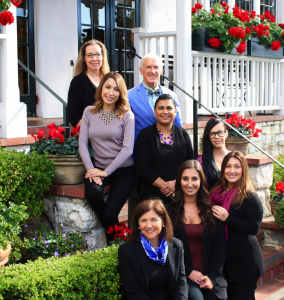 Dr. Eisinger and his Staff practice a philosophy of “Face Driven Treatment Planning” to allow us to prescribe the therapy best suited for each individual, regardless of age. Whether you are an adult, adolescent, or child we are committed to creating the smile you have always wanted by utilizing the latest technological advances in the orthodontic profession. These technologies including the Damon System, Insignia Advanced Smile Design, Damon Clear, Invisalign, Teen Invisalign, and the Molar to Molar AdvanSync Appliance ensure that you will receive the most time efficient and highest quality care possible.